Alabama USA: Can You Find ‘Champ’ a Home or be the New Owner ? PERMISSION GRANTED TO CROSS POST !! 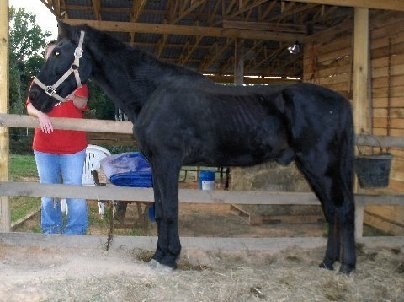 I am *reportedly* a 20-25 yr old black QH gelding located near Gordo, Alabama. I was destined for Mexico (you know what that means) when I along with another horse was purchased at Bobo’s horse barn in Beaverton, Alabama in May ‘O8 for a mere $25. Children were riding me with a hay string attached to my halter. They say I am gaited. I have a NEG Coggins, no vacs, but I have been wormed with Zimermectin Gold on arrival at my new home and they say I have gained about 75 pounds. I have a sweet face and a good gentle temperament. I am alert and my eyes are bright but my teeth are bad. I have hooks, curves, waves, some teeth ground down to the gum line, others are missing, however I showed my eval person that I can eat. I wasn’t slow about it either and I didn’t waste much! My owner states they are feeding me a mix of soy pellets, alfalfa rabbit food pellets and pig starter – 3 pounds, 3 times a day. Due to my teeth, I cannot eat hay. I will need hay extender or Equine Senior Feed. I need to gain more weight. My hooves are good. I need a loving home and owner who will care for me properly. PLEASE NOTE: This animal is NOT in the possession of this rescuer, I am simply the contact. 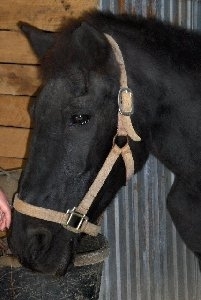 Please forward to all of your equine rescues/rescuer contacts and horse lovers. Scotland, Uk: Uncaged Announce “Hurtful Essences Tour” Dates – Can You Support ? Next week Uncaged will take the Hurtful Essences tour to Scotland. We’ll have the 6m high inflatable shampoo bottle, tables, rat costumes, cages and lots of leaflets to distribute. If you live in Scotland, please come and help us inform consumers about Herbal Essences cruel animal testing and how to shop cruelty-free! We are still hoping to secure permission to be in Inverness on Saturday 4th October – but we won’t know until next week. Hope to see you at one (or more) of these events. Please let us know if you are interested in attending (preferably with you telephone number so we can let you know of any changes of plan). 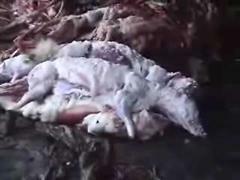 Editor’s Note: The descriptions and video of China’s fur industry in this story will be disturbing to some readers. The newest controversy over exports from China has caused nightmares for researchers documenting the abuse inflicted on animals bred and raised in tiny cages and then skinned alive for their fur. WND has reported multiple times on problems with exports from China, with poison found in pajamas, consumers warned against using ginger, an alert about the dangers from China’s pickled vegetables and even the dangers from honey and fireworks. Now comes word from an extended investigation into the fur trade that China is estimated to produce approximately 85 percent of the world’s fur products – and it has virtually no regulations or rules for the treatment of the animals. According to Mark Rissi, a spokesman for Swiss Animal Protection, which has documented abuse of animals raised for their fur as early as 1983, the China project has been going on for several years. The organization’s report has been made available online, with dramatic images and descriptions that researchers found more than disturbing. He said he’s glad other organizations, such as the U.S.-based People for the Ethical Treatment of Animals, have joined in his group’s campaign. “Our main goal was to get this distributed because we want consumers worldwide to be aware about the cruelty involved in the fur fashion,” he said. “People have a right to know that a huge percentage of fur is imported from China, which doesn’t have any federal laws protecting animals on fur farms. People who might contribute to this atrocity by purchasing fur or fur-trimmed garments need to know about the horrible suffering of the animals who wore that skin first,” PETA spokeswoman Melissa Karpel told WND. “We want them to see how fur farmers slam terrified animals — including raccoon pups — on the ground and skin them while they’re still conscious. 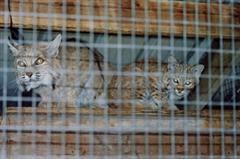 People need to know what they’re really buying when they buy fur or fur trim,” she said. PETA has posted a Swiss Animal Protection video on its U.S. site, documenting the bloody violence prevalent in the Chinese fur industry. Once pulled out from its cage, the raccoon dog curls up into a ball in mid-air. … One woman in a headscarf is first to grab hold of the raccoon dog’s tail and the others drift away peevishly. The woman in the headscarf swings the animal upwards. It forms an arc in the air and is then slammed heavily to the ground, throwing up a cloud of dust. The raccoon dog tries to stand up, its paws scrabbling in the grit. The wooden club in the woman’s hand swings down onto its forehead. The woman picks up the animal and walks toward the other side of the road, throwing it onto a pile of other raccoon dogs. A stream of blood trickles from its muzzle, but its eyes are open and it continues to repeatedly blink, move its paws, raise its head and collapse to the ground. Beside it lies another raccoon dog. Its four limbs have been hacked off but still it continues to yelp. 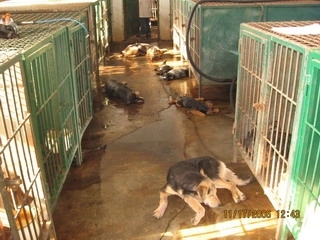 The report then graphically describes how the dogs are skinned, sometimes while they are living. 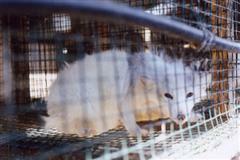 Rissi noted that the Humane Society of the United States also has worked on the investigation, citing well-known U.S. companies, including J.C. Penney, Burlington Coat Factory, Bloomingdale’s, Sak’s Fifth Avenue and Macy’s, for selling Chinese-produced fur products, sometimes labeling them as “faux fur” or raccoon when the actual product is from a raccoon dog. The Swiss Animal Protection report said slaughter methods range from beatings with a metal or wooden stick or swinging the animal until it slams to the ground. “They struggle and try to fight back to the very end. Even after their skin has been stripped off breathing, heart beat, directional body and eyelid movements were evident for five to 10 minutes,” the report said. The process is repeated millions of times, as China processes up to 100,000 pelts in a day at times. The Swiss organization said China should pass a national animal welfare law, prohibit skinning live animals, prohibit inhumane treatment and slaughter methods, and the rest of the world should shun the use of fur. Swiss Animal Protection is the umbrella organization of 58 regional animal protection associations in Switzerland and the Principality of Liechtenstein. Founded in 1861, it is the oldest and biggest animal protection organization operating throughout Switzerland. WND also has reported on Chinese imports that poisoned America’s pets, risked America’s human food supply and reintroduced lead poisoning to America’s children. Other problems have occurred with power strips and extension cords, holiday lights and batteries. China also consistently has topped the list of countries whose products were refused by the FDA The list includes many countries, including Mexico and Canada, that export far more food products to the U.S. than China. The Chinese government, in fact, actually has blamed WND’s reports for fanning the flames of hysteria about the safety of Chinese products. 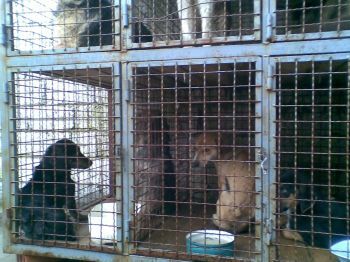 On Saturday 8th November 2008, Milan, Italy based International Animal Protection Organisation, ‘OIPA’ http://www.oipa.org/ will be in their capital city of Rome for a national demo against fur farming / industry. There is an open invitation waiting for anyone to visit Rome to join the demonstration. 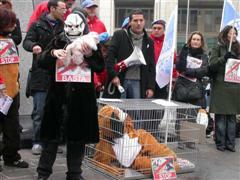 OIPA have collected thousands of signatures against fur farming in Italy; these will be delivered to Italian Parliament. Saturday 8th November is an important day for the Anti Fur campaign in Italy. It would be wonderful for OIPA to have international support for their day: demos, photos against fur in other cities or letters of support. International support is very much welcomed. WOMEN LOOK MOST BEAUTIFUL WEARING THEIR OWN SKIN, AND ANIMALS LOOK MOST BEAUTIFUL WEARING THEIRS, SO WOMEN, PLEASE KEEP IT THAT WAY – DONT DRESS UP LIKE SOMETHING YOU ARE NOT – MAKE THE PLEDGE AND STAY FUR FREE ! India: Orrisa Floods – Can You Help in ANY Way Please ? please get in touch with Mr Praddep Nath from Orrisa SPCA, if you can help him with saving animals in Orissa Flood in any way. Unable to bear the current flooding in the Orrisa coastal areas of India (about 300 kms from us), I write this appeal to all those who might be able to help the animals in 14 districts affected – more than half of Orrisa! After the recent flooding our teams have been working in the West Godavari district (south of us) and the Srikakulam areas (north) – these areas are now improving. Our appeal now is to tackle a greater challenge that has driven half of the state of Orrisa into a crisis. Government funding is coming in to help in this dire situation, and we are lobbying and appealing for aid to help the animals in these regions as well. The animals urgently need fodder and medicine, and abandoned and homeless animals need to be rescued. But we have to lead by example, sending our teams in right now. Ever since the Mahanadi river started to rise, we have been following the situation by coordinating and joining with other NGO’s. Since May 2008, many areas were devastated with continuous rains overlowing river embankments and rendering all helpless, breaking down all communications and collapsing of bridges that stopped many railways. Some photos of VSCA’s previous rescue efforts during flood crises. We have just now been able to get the latest Orissa situation reports from the Director of Animal Husbandry (please contact us for these documents). 2554 villages and over a million large and small animals need immediate help in Orissa. To those of you worldwide, we send this urgent message to appeal to your kind financial donation that will be wisely and carefully used in remedying this crisis, and look forward to letting you know later on that much has been accomplished. You may also change your subscription by visiting http://www.visakhaspca.org/cgi-bin/dada/mail.pl/list/updates. The following is a direct copy of a presentation made by Zlata, Slavica and Branka; Serbian citizens, to members of the Serbian government on the subject of asking for their (the governments) full support for the establishment of a No Kill spay and neuter policy throughout Serbia. This content of this letter is fully endorsed by both SAV and OIPA -Organization of International Protection of Animals; Milano. based on the fact that the Law Proposal has only changed the present methods of dealing with this problem regarding the lenght of time period from the moment of catching animals to the moment of their killing, thus significantly increasing public expenses by keeping cats and dogs up to 30 days in municipal shelters including the costs related to their food, medicines, vaccination and microchipping – all of it mandatory by the Law for every owner of the animal, either temporary or permanent. It is beyond any doubt, that it is illegal and punishable to maltreat animals, to be involved in money laundry and other kinds of financial criminal as well as to instruct, orally and in written, on behalf of the Veterinary Directorate, that it is legal to keep ‘stray’ cats and dogs in municipal shelters (in order to save money) without their microchipping, vaccination, medical treatment, feeding, elimination of parasites, i.e. without all the mandatory obligations of every animal owner from the moment of their receiption, temporary or permanent, since such instructions may be grounds for corruption, irresponsible spending of public money, lack of control of scope and quality of work done and therefore of the justifiblity of spent financial means. With national No Kill spay and neuter startegy it is possible and necessary to achieve legal, financialy and moraly justified (moral spending of tax payers’ money and moral behaviour towards living being of other kinds) method of eradication of this social problem cause and effects, contrary to so far useless, uncontrolled and legaly discrepant solutions. With national No Kill spay and neuter startegy it is possible and necessary to statutory eliminate all possible ways of misuse of money for the animals and their ill tretament, as well as to respect the rights and feeling of the minority in Serbia who cares for the animals. Mandatory sterilization of companion cats and dogs, financed from the republic and municipal budgets, will provide legal, financialy and moraly reasonable method of solving this problem, as well as of all future expenses deriving from it, fully in accordance with the constitutional equality of human rights. Furthermore, it is necessary to enable continuous education of all generations of Serbian citizens, about the correct behaviour towards animals and its proved effect on emphatic behaviour towards people, i.e. towards all weak and unprotected living creatures as a specific campaign against criminal and brutal behaviour and as a support to positive values in life. Selective sterilization (spay and neuter) of only ‘stray’ cats and dogs increases general public expenses since it doesn’t deal with the continuous source of new, unregistered, not identified and not vaccinated animals – the irresponsible owners, additionaly burdening the budgets. The costs of expensive compensation towards the citizens who had been biten by those animals (since those animals were not microchipped) also burden municipal budgets, with the growing trend of financial manipulation. Manipulations throughout Serbia, jointly undertaken by the hunters (armed individuals whose right to carry weapons is based only upon their membership in a citizen association usually sistematicaly violating the Law on Hunting for the sake of personal profit /e.g. killing foxes for personal profit in spite of the Law on Hunting of the Protected Species, massive killings of cats and dogs financied by the municipal budgets/ and the shinters-dog catchers, by their mutual contracts (between zoo hygene service and local veterinary service) are enabled by: – disregard of the Law on Veterinary Practice regulations; failure to organize anti-rabies (peroral) vaccination of wild animals, as obligatory to be done by the veterinarians and to be enabled by the hunters (financed from the republic budget). 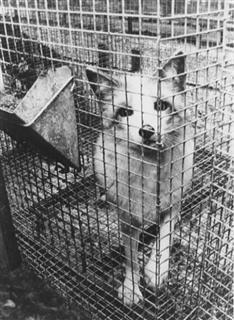 It is undoubtfully a common financial manipulation perpetrated via manipulation with the animals, as illustrated by the fact that a rabies virus depot, in a certain region, is not related to specific animal species – foxes, but to all the species of domestic and wild animals, and therefore, elimination of the potential RABIES VIRUS depots can be done only by elimination of ALL the entities in ALL animal species in subject region, domestic and wild – which makes this method of eradication of the virus totaly inadequate and irrational, and advocates for the vaccination importance and utilization. Mandatory sterilization of all companion cats and dogs, apart from their vaccination, microchipping and mandatory (peroral) anti-rabies vaccination of wild animals provides conditions for legal treatment of animals and controled spending of high amounts of money from tax payers in Serbia, with the tendency of reduction of these expenses. This tendency is of general social interest since it can help to save and redirect money from the republic and municipal budgets for e.g. eradication of late phase of cervical cancer among women in Serbia as the most numerous population with this problem in whole Europe, by financing of national strategy for early carcinom detection and targeted cervical biopsy and cotization tretments in the process of disease verification and examination. This would dramaticaly increase the number of entirely cured women with their fully recovered generative and working ability, personal and family life. Nesporno je da je protivzakonito i zatvorski kažnjivo mučenje životinja , pranje novca i privredni prestupi i kriminal , kao i eventualno davanje uputstva – usmenog ili pismenog – od strane zaposlenih u Upravi za veterinu: da se psi i mačke „lutalice“ mogu držati u opštinskim prihvatilištima , radi uštede novca : bez mikročipovanja , vakcinisanja , lečenja, hranjenja, ,uklanjanja endo-ektoparazita, tj bez svih postupanja prema životinjama koja su zakonom obligatna za svakog držaoca životinja od momenta kada životinja stupi u objekat koji je u nadležnosti tog držaoca : i privremenog i trajnog. , iz razloga što davanje takvih uputstava predstavlja omogućavanja i podstrekivanja korupcije, nemoralnog trošenja javnog novca , onemogućavanja kontrole trošenja javnog novca nemogućnošću vršenja kontrole obima i kvaliteta obavljenog posla i kontrole postojanja ili ne : namenskog trošenja novca ili njegovog protivpravnog prisvajanja i pranja novca. Zakonit, finansijski i moralno opravdan (moralno trošenje novca poreskih obveznika i moralno postupanje s kičmenjacima druge vrste ) način eradikacije uzroka i posledica ovog opšteg javnog problema , za čije dosadašnje bezuspešno, nekontrolisano , nesaglasno zakonima Rep.Srbije ,rešavanje , su trošeni , i troše se i danas , novci poreskih obveznika moguće je i nužno sprovesti na nacionalnom nivou No kill sterilizacija strategijom ,kako bi se sve protivzakonite mogućnosti postupanja s novcem namenjenim ovom problemu i s životinjama , uklonile na zakonit način , i prestala biti uzurpirana ljudska prava i nanočenje mentalne agresije značajnoj manjini gradjana Srbije – koja respektuje životinje . Obavezna sterilizacija vlasničkih pasa i mačaka o trošku republičkog i opštinskih budžeta omogućuje zakonit , finansijsko i moralno opravdan način uklanjanja problema i svih budućih troškova koji su se njegovom persistencijom nametali opštinskim i republičkom budžetu utemeljen na ustavom zagarantovana jednaka prava gradjana ,koja mogu biti ograničena samo identičnim pravima drugih gradjana . Takodje je potrebno omogućiti kontinuiranu edukaciju gradjana Srbije, svih uzrasta, o načinu ophodjenja prema životinjama , kao dokazanom temelju stvaranja saosećajnog ophodjenja i prema ljudima tj.prema svim nezaštićenim bespomoćnim živim bićima radi afirmisanja proverenog puta za smanjenje kriminaliteta , sistematskim potiskivanjem brutalnog odnosa prema svim živim bićima i afirmisanjem pozitinog stava prema stvarnim vrednostima . Sterilizacija samo pasa i mačaka „lutalica“ povećava opšte javne izdatke ,jer ostaje prisutan i nadalje izvor novih neobeleženih , nevakcinisanih jedinki : dvorišta neodgovornih vlasnika , troškovi njihovog obeležavanja i vakcinacije opetovano opterećuju republiči i oipštinske budžete. Ogromni odštetni zahtevi ujedenih gradjana – s obzirom da psi i mačke nisu mikročipovani – padaju na teret opštinskih budžeta – gde je primećen porast trenda manipulacija ovim novcem. nepostupanjem po nalozima Zakona o veterinarstvu , nesprovodjenjem ( peroralne ) antirabične vakcinacije divljih životinja , koje su dužni o trošku rep.budžeta sprovesti veterinari , a omogućiti to sprovodjenje : držaoci divljih životinja – lovci . Da je u pitanju manipulacija novcem putem manipulacija životinjama dokazuje činjenica da se suprotno egzaktnoj istini da rezervoar virusa rabiesa u jednom regionu nije samo jedna životinjska vrsta -lisice , nego sve životinjske vrste , divljih i domaćih životinja – i da , ako se eradikacija VIRUSA RABIESA želi postići ubijanjem potencijalnih rezervoara , moraju biti ubijene SVE jedinke SVIH životinjskih vrsta u tom regionu, kako divljih tako pripitomljenih – što ovaj način eradikacije VIRUSA RABIESA čini neadekvatnim ,neracionalnim i potencira značaj i primenjivost VAKCINACIJE . Obuhvatajući obaveznu sterilizaciju svih valsničkih pasa i mačaka ,pored obavezne vakcinacije i mikročipovanja , i obaveznu ( peroralnu ) antirabičnu vakcinaciju divljih životinja omogućuju zakonita postupanja prema životinjama i kontrolisano namensko trošenje ogromnih suma novca poreskih obveznika Rep.Srbije ,s trendom pada tih troškova , što ima opšti društveni značaj , jer se ovim putem – postupanjima po važećim zakonima uštedjen deo novca poreskih obveznika iz republičkog i iz opštinskih budžeta može preusmeriti na eradikaciju odmaklog karcinoma grlića materice kod žena u Srbiji – koja je na prvom mestu u Evropi po broju žena obolelih od odmaklog karcinoma grlića materice , – finansiranjem nacionalne akcije rane detekcije ovog karcinoma koji je ,ukoliko se dijagnostikuje – a to omogućuje ranom detekcijom iznalaženje suspektnih slučajeva te sprovodjenje ciljane kontrolisane biopsije i konizacije grlića materice radi histo-patološke verifikacije karcinoma i stepena njegove proširenosti . Na taj način moguće je značajno povećati broj žena koje su 100% izlečene, i koje ostaju 100% generativno i radno sposobne s neporemećenim kvalitetom života kako ličnog tako i života svoje familije. eradikaciju uzroka problema tj. neodgovornih vlasnika – čija ustavna prava i slobode mogu biti ograničena samo pravima i slobodama drugih gradjana , bez štete za gradjane obe grupe, a na korist obe grupe i životinja koje neće biti izložene ubijanjima , koja su neopravdano imenovana eutanazijom ( euthanasia ae,femininum+ ubistvo iz milosrdja, u terminalnom stadijumu inkurabilno bolesne ili ireoarabilno povredjene jedinke koja trpi neotklonjive bolove i patnju ) . eradikacija odmaklog karcinoma grlića materice u žena u Rep.Srbiji , i svih nepovoljnosti za obolelu ličnost i njenu familiju , i svih troškova lečenja ovog odmaklog inkurabilnog karcinoma koji ne otklanjaju izvesnost infaustnog ishoda . PLEASE MAKE SURE YOU WATCH THE “DIRECTORS CUT” VERSION ESPECIALLY. Tomorrow, I won’t be singing for my supper. But I will be dancing with Ellen DeGeneres to get the word out about Proposition 2 — a modest anti-cruelty measure that will end the inhumane confinement of 20 million farm animals in tiny crates and cages where they can barely move for their entire lives. The YES! on Prop 2 campaign in California is one of The Humane Society of the United States’ top priorities from now until November 4. If we win, it could mean not only stopping cruelty to animals in California, but also triggering nationwide reforms in the agribusiness industry. Agribusiness big shots nationwide have poured millions of dollars into their deceptive campaign to fight Prop 2 — they want to keep the status quo and defeat this commonsense initiative that simply provides animals the room to turn around and spread their limbs. Millions of animals are counting on us to stop them. California voters care about protecting animals, but our factory farm opponents will try to confuse them about the issue. With just 5 weeks left before the election, we’ve got to do all we can now to get our message out far and wide and ensure they vote YES! on Proposition 2. Please share our video with your friends and family — especially those who are California voters. Thank you for raising your voice, and for all that you do for animals. PS — If Prop 2 passes in California, it will lead to more humane farming practices on a national scale. That’s why your involvement is so important — no matter where you live! Click here to watch the video and spread the word today.